Who or What Will Dominate NAIAS 2017? 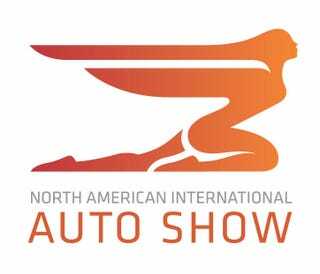 The Detriot Auto Show always has some crazy concept and production car debuts, especially from the US automakers. What are you hoping to see reveiled? I think GM and FCA are going to fight for media dominance next year. We all remember how Ford dominated 2015's NAIAS with the Raptor, GT350R, and Ford GT “Concept” debuts. I’m seriously banking on GM wanting to repeat what Ford did in 2015 (because GM is the most reactive automaker in the world). Im hoping Z/28, ZR1, and whatever that mid-engined sportscar is as a concept. But FCA is probably going to show off the Hellcat-powered Grand Cherokee Trackhawk, the Durango refresh with an SRT model, and the production form of the Ram Rebel TRX Concept but with the 6.4L HEMI instead of the detuned 6.2L V8, not to mention the AWD Challenger and the widebodied Hellcat ADR. With all that said, there are still plenty more vehicles that should be debuting at NAIAS and Im most excited for the Kia GT Sedan to be reveiled. I think we’ll get the Genesis G80 Sport in LA and the Genesis G70 will wait for New York. So the Kia should fall in between its trio partners in price, size, performance, and debut.